Both co-signers and sureties guarantee loans. 1. What Are the Penalties for the Co-signer of a Mortgage Loan in Default With the Co-signer on Title? When you co-sign a loan or provide surety for a loan or a project, you provide assurance that the investment is safe or, in the case of a surety, that the contractor will complete the project. Typically, lenders request a guarantee when the borrower doesn’t have a solid credit history, while customers may request a surety if a contractor is unknown or previously defaulted on a project. While acting as a co-signer or providing surety puts you at risk, the liability in the case of a surety is more limited. When you co-sign a loan, you commit yourself to making payments on the loan if the primary borrower is unable to fulfill his obligation. Typically, lenders approve co-signers only if they have strong credit ratings. Conversely, if you provide surety, you commit yourself to paying for the loan or taking on the responsibilities to act if the other person does not honor her obligations. However, you can specify a fixed amount as the extent of your liability, and you won’t have to pay more than that amount. If primary borrowers don’t pay or miss even a single installment, creditors can request payment from co-signers. They also might try to obtain payment from co-signers even without pursuing the primary borrower first -- especially if the co-signer’s credit rating is higher than the borrower’s. Creditors also can sue co-signers for payment or garnish their wages. A wage garnishment is a court order that commands your employer to withhold a portion of your salary and pay it to a creditor. In contrast, if you provided surety for a loan, the creditor must request payment from the main borrower and can contact you only if the borrower can’t pay back the loan. If you do pay the creditor, you can always ask the borrower to pay you back later. 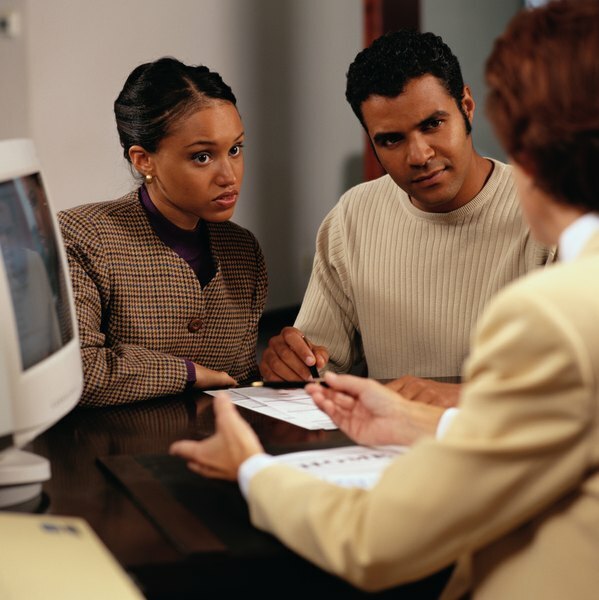 Co-signing a loan makes you equally responsible for it and the payment history is reported to the credit bureaus. If you need to borrow money for yourself, the unpaid balance on the loan you co-signed and the payment history could hamper your eligibility. If the borrower doesn’t pay the loan and the creditor repossesses the collateral he provided, the repossession shows up on your credit report. If the value of the collateral is not sufficient to cover the loan, you’re also liable for the balance. If you settle the debt after negotiations, the “debt settled” mark remains on your credit record. However, as a surety provider, the unpaid loan appears on your credit record only if the borrower defaults on the loan. If you co-sign a loan, you’re also responsible for additional charges that the borrower incurs. These can include late fees, legal fees and collection charges. If you provide surety, you won’t have to pay any other charges. At the time of taking out a loan, you and the primary borrow sign the loan application and agreement forms. If you’re acting as a surety, you’ll sign a surety bond, which is an agreement between you, the creditor and the borrower. CIBC: What Does It Mean to Co-Sign a Loan? U.S. Department of Labor: What is a Wage Garnishment?